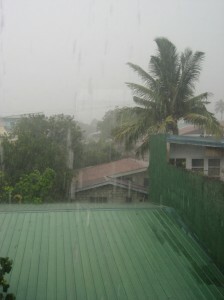 What a rainy day today! Earlier this morning I went out to pick up some food and earlier this afternoon my Pathology groupmates Belle and James came over to complete a report on blood smears and examination of red blood cells. But now it’s totally pouring. 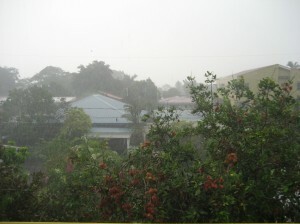 I heard a strike of thunder and then the sky started crying. 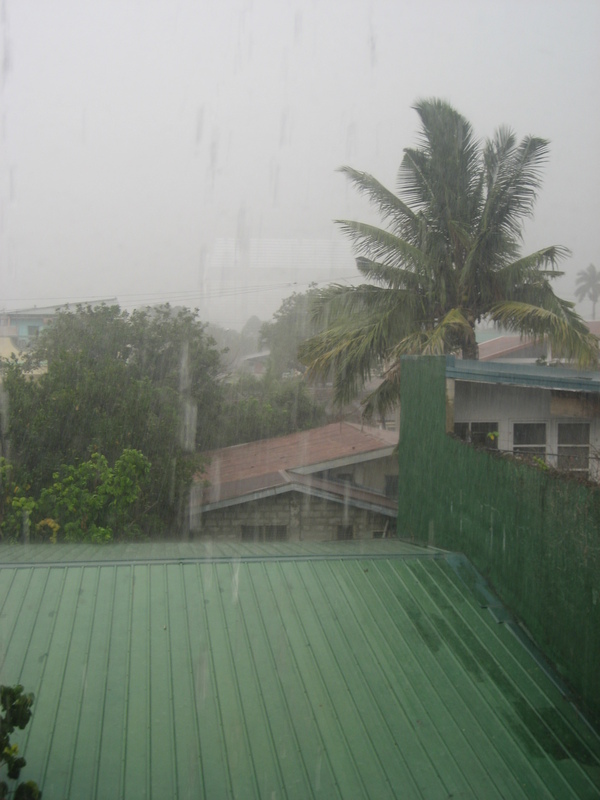 I guess it’s the start of the Philippines’ rainy season. Recently, I’ve been watching a cartoon series called Avatar: The Last Airbender. Avatar: the Last Airbender (also known as Avatar: The Legend of Aang) is actually a well-thought out piece of media that was created and produced by Michael Dante DiMartino and Brian Konietzko. What I love about this series is that the creators made a world that is Asian-influenced with the draw of an anime-like style that was released on an American network. The series centers around a world filled with normal people and people who are capable of manipulating the elements. The four elements in the world depicted are Air, Fire, Water and Earth. The people who can manipulate a specific element is called a “bender” (e.g. those who can manipulate water are called Water Benders, etc.). There are divisions to the world which contain specific benders of a specific trait (e.g. Water Tribes, Earth Kingdom, Fire Nation, Air Nomads). At any one given moment only one person in the world can be capable of manipulating all of the four elements and that person is called the Avatar. Every time an Avatar dies, a new Avatar is reincarnated into a person in the next element tribe in the cycle which I believe is Water, Earth, Fire and Air. The main character is the Avatar of course, in this case a young monk Air Bender monk named Aang, who is the last of his tribe. During the last reincarnation of the Avatar, Aang had disappeared from the world for 100 years, allowing the Fire Nation to attack and take over many kingdoms in the world. The Avatar when born is obligated to master all four elements in time. Two other primary characters, a girl named Katara and her brother named Sokka, both members of the Southern Water Tribe (who are based on Inuit culture) accidentally encounter Aang after the 100 years in an iceberg. 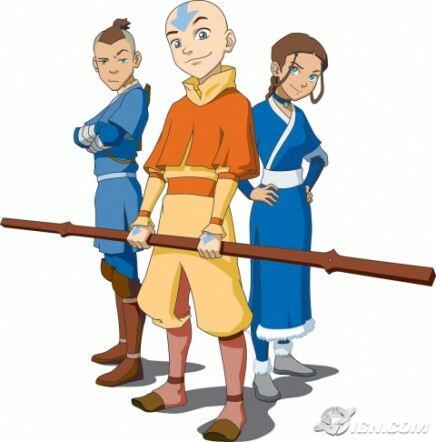 The story further revolves around the struggle of the three (and many more members who join along the way) and Aang’s journey to master the four elements and take down the Fire Nation and its king. For example, Tai Chi is used for inspiration for the Water Benders in the series. Hung Gar is used for the Earth Benders, Northern Shaolin for the Fire Benders, and Ba Gua is used for the Air Benders. However, Toph (a blind Earth bender in the series who joins later in the series to teach Aang) uses Chu Gar Praying Mantis martial arts to overcome her blindness and feel around the earth before striking. Everyone in the series seems distinctly Asian, because of all the Asian cultural influences depicted. The series spans three seasons with the finale made up of three parts. The amount of detail and creative influences in this series is amazing. The story is well thought out, draws many Asian cultural influences (mostly from Asian and Inuit cultures) and creates a story that is complex, dramatic and entertaining. While watching this series I found myself attached to the characters. The history of both Katara and Sokka and the dramatic loss of their mother and other friends is a recurring theme in the series and was very interesting. Aang and the other characters are similarly well-developed, with some episodes featuring entirely secondary characters (like Zuko, the estranged Fire Nation Prince) without the appearance of the Avatar to help you get to know them more. Each person seems to have a very different history and it all culminates in a wonderful, compelling anime-style cartoon show. The demographic for this cartoon was 6-11 years old, but from what I’ve read and heard, Avatar has drawn in audiences well outside the demographic. And I can see why–the story is complex and thoroughly entertaining, and the Asian culture that helped inspire this story was well integrated. Which leads me to something that bothers me about the Avatar: The Last Airbender movie, which has already been released. I have to admit, the news of the release of the movie inspired me to watch the entire cartoon series in its entirety. I had always disliked the fact that I never was able to watch the series completely because I could only catch a few episodes on Nickelodeon at a time. But now that I know the specifics of the Avatar: The Last Airbender release, I am not rushing out to see it. You see, when I found out that the main characters Aang, Katara and Sokka were cast as Caucasians, I was deeply disappointed. Not that I hate Caucasians of course, but because it seemed like they were already missing something that was so essential in the cartoon series. Like I said before, the characters are based on Asian and Inuit cultures. Aang’s tribe were based on Tibetan Monks and the tribe of Katara and Sokka lived in the South Pole using igloos and ice structures. The Fire Nation themselves also acted like classical Chinese warriors. Seeing an opportunity for Asian or Asian American actors to shine where Asians are an integral part of story already and having it squandered has left a bad taste in my mouth. I had admired the series mostly because of its Asian influences and seeing Asians as main characters in this series was something that drew me in. The movie was directed and written by M. Night Shyamalan and it’s a disappointment when I see things like this happen. Not only have Caucasian characters been cast for distinctly Asian roles, but seeing M. Night Shyamalan, who is a very influential and powerful Asian person in the media, allow this to happen just makes me feel more distaste. The reason why I loved this series so much was BECAUSE of its Asian influences. It makes me question why the casting was done this way, and it’s sorely disappointing. If you want to read more on this issue, you can take a look at www.RaceBending.com. There are many reasons why I’m not excited to go to see the movie, a lot of them are explained well on the site. I’ve always been a fan of Asian media but to see things like this happen time and time again is just not cool. Asians and Asian Americans deserve equality in this world, and when a story comes out that depicts Asian characters is cast with Caucasians, it makes me wonder. There certainly is a glass ceiling when it comes to these things since Asians are always touted to be great people that can reach amazing heights. Then why is it that every time we have an opportunity to shine, we always hit this barrier? These issues are something that I’ve always faced and discussed with other people, especially when I was in college. That is why I attended so many Asian and Asian American conferences, why I coordinated so many workshops, why I invited others to speak about Asian and Asian American issues. It’s important that we realize that we are people too and deserve to be treated equally. I guess things like this bother me. It may not seem like a big deal to many of you because many of you do not see what I see. But to me it’s just something that is wrong and should be corrected. Because the more we allow things like this to happen, the more we start to accept things blindly. For example, there’s the issue of being “colorblind”. A lot of people think that’s a good thing, and in terms of not discriminating against people based on color, in terms of hiring, befriending and the like, it is. However, people who claim to be “colorblind” sometimes overlook some of the things that make each of us unique. We are all different people, with different identities, cultures and different customs. I am a Filipino. I’d like for people to understand that I’m not just another face in the crowd, but that my culture is rooted in South East Asia, with many Malay, Spanish and American influences. I’m a regular person sure, but my culture is a part of my identity and helps define who I am. It’s not everything I am, but is definitely a part of me. By casting Caucasians as the main players in a story that is distinctly made up of Asians and Inuits one automatically takes away something that helped make the characters so special and so unique. Besides, it’s not like they couldn’t have found any talented and professional Asian or Inuit actors to play the main roles. There are thousands of them living in California alone, much more if you include the rest of the country. I sincerely hope that M. Night Shyamalan understands what he has done with this movie. According to the two creators, they did not have any influence on the way the movie was made and regarding the casting. Even Konietzko said that he would’ve probably done things differently if he was in charge. Avatar: The Last Airbender is an amazing show and many people were excited to see the feature film. Now I know that a lot of us won’t be stepping into the theater because of all this. I guess I went into a whole lot about this issue, and I guess I never really meant to when I started this post. But I do feel strongly about this and I hope you guys will know where I’m coming from. I think it’s time for me to get some dinner. Catch you all after the rain stops!